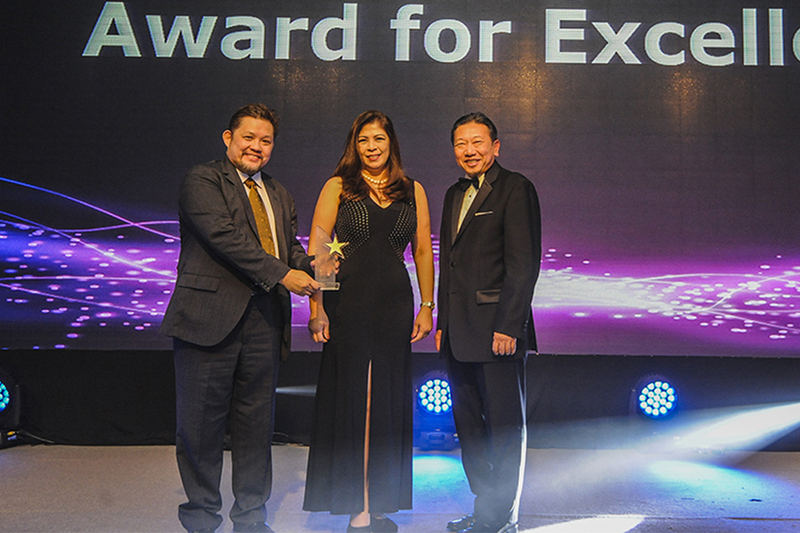 Global-Link MP Bags International Award « Global-Link MP Events International Inc.
Philippine event organizer Global-Link MP recently brought home another international distinction at the 32nd Pico Far East Board of Directors Awards held in Kota Kinabalu, Malaysia. Each year, top events organizing group Pico gathers more than 300 of its top executives and managers from across the globe for an annual conference and thanksgiving gala dinner where awards were given to the year’s most outstanding projects, managers, and offices. For the most awaited prize of the night, the Pico Far East Board of Directors rounds up top performing offices within the Pico group and selects one recipient for the much coveted Award for Excellence. Pico operates in 38 countries and this year, Global-Link MP brings the award home to the Philippines. Ranked second in the Asia Pacific’s Best Business Event Agency category in CEI Asia magazine’s Readers’ Choice Awards 2015, Pico is a global Total Brand Activation company with experience spanning half a century long. It has a worldwide reputation for bringing brands to life through powerful and engaging experiences – from strategy to execution. Global-Link MP is its official representative in the Philippines. The Philippine delegation that attended the awarding ceremonies were led by Wilbert Novero, general manager for the brand activation and export promotions division; Patrick-Lawrence Tan, CEO; and Jing Lagandaon, COO. Previously, Global-Link MP has also won the award for Best in Exhibition Management from Pico two years in a row. The awards are not financial based. Global-Link MP Events International Inc.